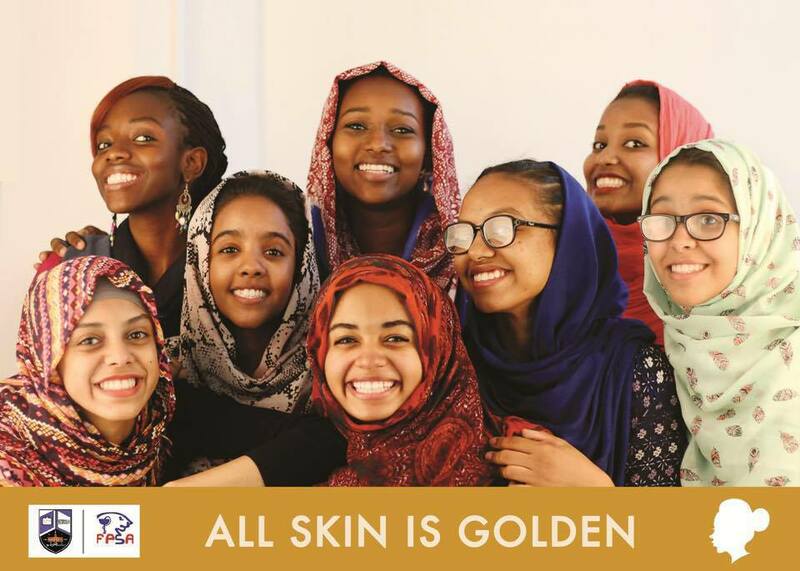 ‘All skin is golden’ is the message and slogan of the recently launched campaign, Bashrati, embarking discussion among young Sudanese men and women about ‘skin color’ in the Afro-arab country. Launched in May 2015, the Bashrati campaign calls against the use of skin lightening creams, mainly targeting females between the ages of 16 and 28. “However, it is also targeting men to some extent,” said Elaf Omer-Elfarouk Abuelgasim, an 18-year-old student at the Faculty of Pharmacy in University of Khartoum, who launched the campaign and is now the Campaign Coordinator. “All skin is beautiful and precious regardless of what color it is. It [the campaign] further wishes to promote ones love of themselves, with our second slogan ‘Love the Tone You Own’ reminding us all that Sudan is made up of a spectrum of skin tones and should remain so. Also, the campaign wishes to deliver the message that natural beauty is the best kind of beauty and that beauty comes in all shades,” Abuelgasim explains. 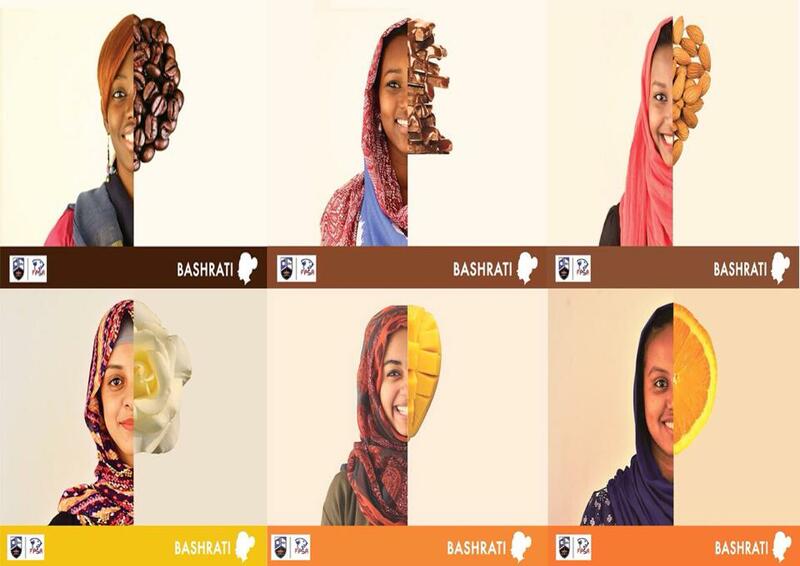 What encouraged Abuelgasim to launch the Bashrati campaign is when she realized that the use of skin-lightening products has become prevalent in Sudan. “I felt like the use of lightening creams had become too popular and nearing the ‘norm’…One day as I was on my way home, I decided to count the number of girls I saw affected with the use of these creams. Out of a total of 20 girls, about 17 had scars or markings indicating that they used such creams. This gave me the final push to launch the campaign,” she said. “Sudan is a country made up of people who together carry bloodlines from multiple different ethnicities. We are a people made up of mixed roots and must learn to accept it. Skin color is important in Sudan as there is no set ’Sudanese’ skin tone, regardless of how light or dark. Skin tone is a perfect example of the beauty in diversity in Sudan, which is why it should be embraced rather than demeaned by setting a socially acceptable tone depending on familial, tribal and cultural beliefs,” adds Abuelgasim. Joining her push to raise awareness against the use of lightening creams are a group of young men and women who are members of the Faculty of Pharmacy Students Association (FPSA) along with a few other students from the University of Khartoum. They are Lama Ibrahim, Campaign Coordinator Assistant; Aya Jamal and Waleed Magdi, Orgainsing Committee Members; Omnia Hamza, Media Coordinator; Qusae Ahmed, Photography Coordinator; Saalma Surag, Head of ‘Love Yourself’ Section; Rayan Abbas, Head of Dangers Section; and Manasik Jumaa, Head of Natural Remedies Section. In Sudan, many women, and some men, are fascinated with becoming ‘light skinned’, using skin lightening products including creams, lotions, gels, soaps, pills, and injections. In a recently published article called ‘The Blacker The Berry or Whiter The Gongolaiz’, UK-based British-Sudanese cancer radiologist, nuclear medicine physician and general internal medicine physician, Dr Mohammed Shawgi, addressed the phenomenon of using skin lightening products in Sudan – and its medical effects. “They [skin-lightening products] are readily available to buy over the counter and their dangers are not well publicized and often ignored,” he said. According to Dr Shawgi, one of the most commonly used skin-lightening products in Sudan, especially amongst females in rural areas, is the Lebanese-manufactured cream, Diana. “Although denied by the manufacturer, it is reported that Diana contains nearly 10,000 times the amount of mercury found in other mercury-containing creams such as Ideal (Lebanon), Kelly (Indonesia), and Fair & Lovely (India). Mercury can be extremely toxic and is linked to kidney damage, neurological disorders and birth defects,” he explains. In addition to Mercury, another harmful chemical used in skin-lightening products is Hydroquinone. “Hydroquinone is a powerful chemical used in many industrial processes and is likened to ‘paint stripper’. Its use in cosmetics is banned by the European Union due to its long-term effects. In Sudan, its use remains unregulated and whitening products containing very high concentrations of Hydroquinone, such as Maxi White, are readily available to buy from beauty stores and local markets,” Dr Shawgi said. Abuelgasim hopes to continue spreading the message of ‘all skin is golden’ through the Bashrati campaign through a number of consecutive three-month campaigns, organizing big public events. The most recent gathered more than 600 visitors. The images associated with the campaign have gone viral on social media amongst Sudanese. In addition to sharing the campaign’s message on social media, Abuelgasim encourages the public to contribute by offering donations, sponsorship or any other form of financial aid. To do so, contact Abuelgasim at elaf_omer@hotmail.com or cp.fpsa.sudan@gmail.com. To follow the Bashrati campaign on social media, check out FPSA-IPSF Office on Facebook, fpsa_seo1 on Twitter, and fpsa_sudan on Instagram. Reblogged this on Jar of randoms.